It's back! 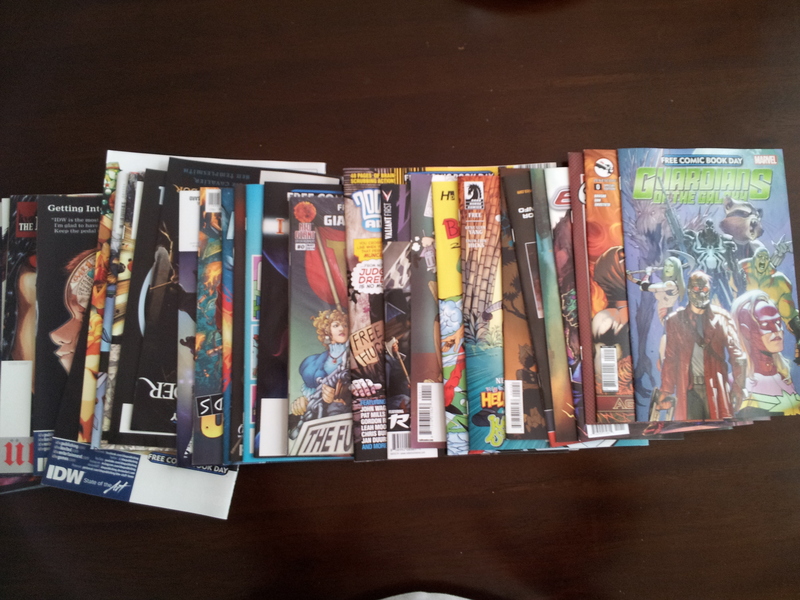 The first day of the Dude's birthday week celebrations, otherwise known as the ALL IMPORTANT Free Comic Book Day!!! Head to your favourite local comic book shop this Saturday morning, grab a bag and fill it (FILL IT!!!) with FREE comic books! (Just remember to take the ones on the table sporting the Free Comic Book Day logo, or else someone might call the police on you. And while you're there, why not pick up some additional comic or geek-related paraphenalia and support that wonderful local comic book shop so they can continue serving your neighbourhood with geeky goodness. Not sure where to go? Use the handy Free Comic Book Day Store Locator. It's a pretty nerdriffic way to spend a Saturday morning, don't you think? And a great lead-up to May the Fourth which is MONDAY!!! I mean how bad can Monday really be if it's Star Wars Day, right?! Happy weekend to you, my friends. Geek on!